Let’s talk about Iraq: “We promised an Arab government with British advisors and delivered it the other way around. We tried to govern and failed. In my opinion, we tried to govern too much”. Does this sound familiar, like these words were uttered last decade? In reality they are from Gertrude Bell in the early 20th century. This British woman, often nicknamed the “the female Lawrence of Arabia” is considered one of the champions of Iraq independence, if often overlooked. The irony that her commentary remains so current a century on suggests that British meddling in the Middle East hasn’t changed so much, perhaps just reinvented itself. This documentary made out of black and white photographs and moving images, some reenacted and some original, contains so much historical information that you will either need a pen or a prodigy’s brain to in order to retain most of it. With Tilda Swindon as the voice of Gertrude Bell, the movie will take you on a journey and history lesson of British Imperialism, vested interests and female representation. The film is built in such a way that it isn’t always possible to distinguished between the real and the reenacted sequences. The talking heads interviews are clearly staged, as the people would now be dead or well into their 100s, while of the images from the Middle East are very difficult to date. Letters from Baghdad is film made to look nostalgic. Thankfully it’s not nostalgic of British imperialism and grandiosity. Instead its nostalgic tone is lonesome and sorrowful, like the cry of a woman subtly dismissed from history simply because she was a female. Recognising a British woman as one of the champions of Iraq independence was just too subversive at the time. T.E. Lawrence patronisingly described her as “a wonderful person, not like a woman”, while a government official likened her writing of a white paper to “a dog standing on its hind legs”. Her determination was dismissed as arrogance and abruptness, in a stance symptomatic of sheer misogyny. Fortunately times have changed, and two female filmmakers have come to rescue and to reclaim her legacy. 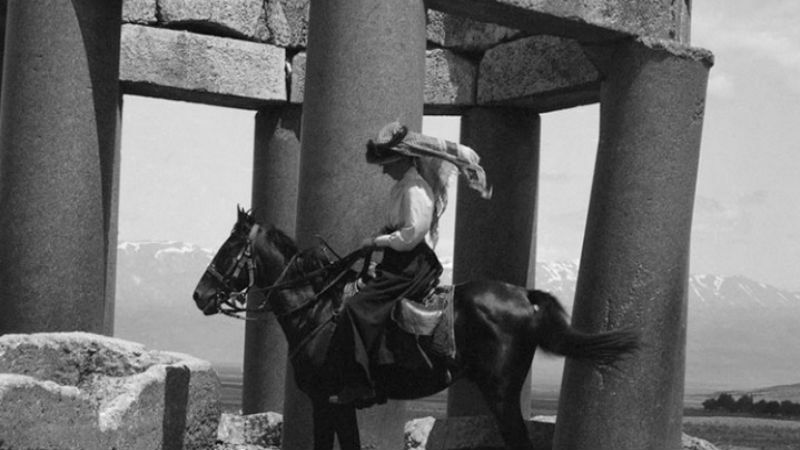 The film explores Gertrude Bell’s personal life from her early attempts at marriage in the UK, following her infatuation with the Middle East, her later dalliances, her political influence all the way through to the time near her death at the age of 58 in the year of 1926 (from a controversial overdose of sleeping pills, which the film doesn’t discuss). 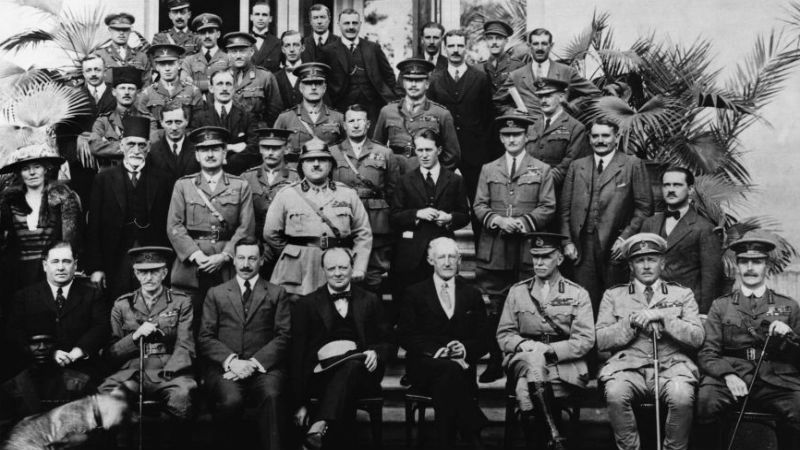 There is also plenty of historical material, from the forced eviction of Arab locals in order to make room for British officials, the usual British disregard for a comprehensive political scheme and the all-too-familiar oil interests. Bell is considered one of the most affable British agents in the Middle East, and one of the very few who could be vaguely trusted by the locals. She often traveled on her own and at her own risk, and she raises the fundamental question: “how can you persuade people to trust you and take your side when they don’t know whether you’ll be there to take theirs?”. She passionately related to the region, and that’s where she felt at home the most. She claimed: “I became a person in Syria”. She also stated “the me that they expect will not return”, indicating that she would feel like a foreigner upon coming back to her very own birth nation the UK. This is a didactic and effective doc, if somewhat esoteric. Do watch it if you have an interest in British imperialism in the Middle East and women’s history. Despite blending old footage with reenactments, the film isn’t particularly innovative in its history-telling format, and it’s also a little monotonous in the historical wordiness. A good one for the history class, but not for Friday night. Letters from Baghdad: The Untold Story of Gertrude Bell was out in UK cinemas in April 2017, when this piece was originally written. It was launched on VoD as part of a BFI collection entitled Folly, love and courage: three remarkable stories from international female filmmakers in June, 2018.